Weybridge, just northwest of Middlebury, is a quaint Vermont town with a strong community. 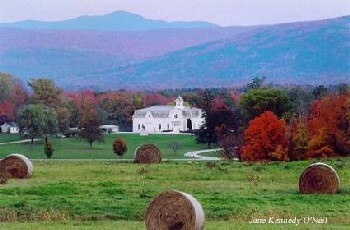 It is home to Monument Dairy Farms and the University of Vermont Morgan Horse Farm. With close proximity to Middlebury College and the Town of Middlebury, Weybridge is a popular location for those who want to live in the country, yet be close to town. Search all listings for sale in Weybridge, VT below. If you have any questions or would like more information on a property - contact us. You can also sign up for a free account to save your top listings and get updates when similar listings come on the market.